Kids &Teen Girl's Basic Apparels. Kids Teen Girl's Basic Apparels. Artistic necklaces, earrings, bracelets, bangles, brooches, belts. we use materials like brass, glass beads, horn, bone, resin, wood, crochet, leather and in whatever material the customer desires. shawls, scarves, stoles, pareus, bandanna etc. in various quality i.e. silk, wool, cotton, viscose, velvet, blended etc. we can produce design / style / color in any required size. Our range also includes wide assortment of export surplus Fashion Apparels. These are procured from branded company and are duly appreciated for high quality standards. Available in wide assortments our surplus garments are available for men, women and kids. 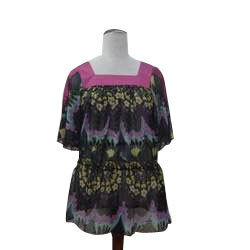 We offer high quality of Hi - Fashion Garments. We are engaged in offering high quality Jeans to our customers. We offer very good quality Fashion Garment to our customer. We are offering high quality of Fashion garments to our customer. We offer the best quality of fashion apparel for our client. We provide best quality of Fashion Wear. We are offering best quality and wide range of Jeans to our client. We offer very good quality Jeans to our customers. We are the leading manufacture of Fashion Wear. We offer very good quality fashionable garment for our customer. We offer very good quality fashion garment for our customer. We provide a wide range of fashion apparel for our customer. We offer the best quality of Jeans for Our Client.